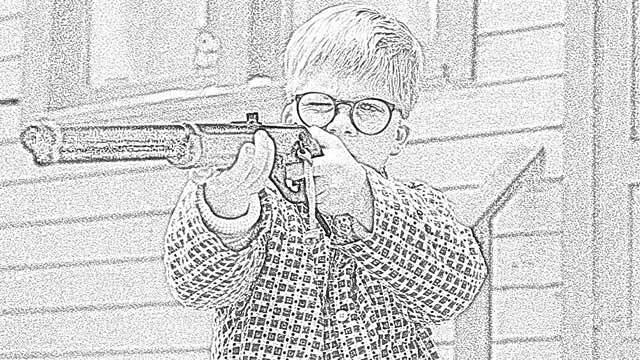 The Holiday Site: Coloring Pages of "A Christmas Story"
Coloring Pages of "A Christmas Story"
I Want A Red Ryder BB Gun! 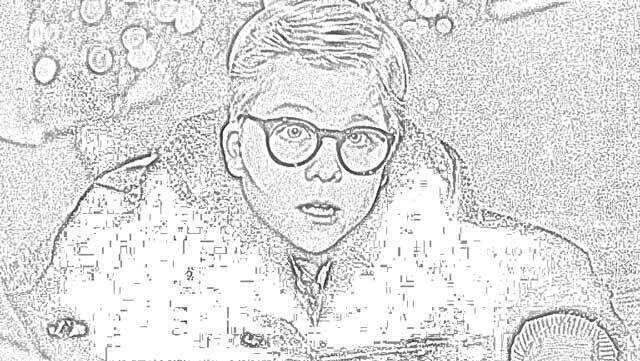 Peter Billingsley in "A Christmas Story" (All photos courtesy MGM/UA Entertainment Co.). There are only so many true holiday classics. 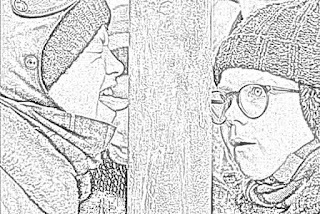 "A Christmas Story" is one of them. 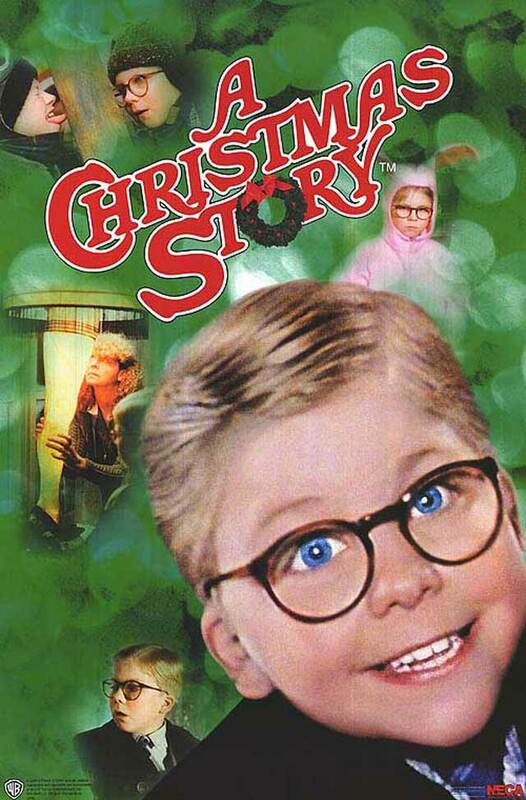 "A Christmas Story" is a 1983 motion picture directed by Bob Clark. 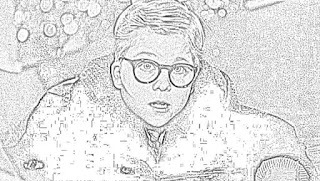 This is a collection of free downloadable coloring pages of "A Christmas Story." 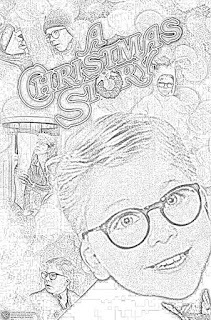 While not entirely based on real-life experiences, "A Christmas Story" also is not entirely fictional. 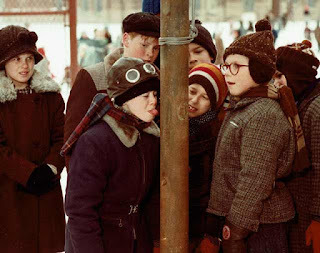 "A Christmas Story" is based on Jean Shepherd's semi-fictional anecdotes in his 1966 book "In God We Trust: All Others Pay Cash," with some elements from his 1971 book "Wanda Hickey's Night of Golden Memories." 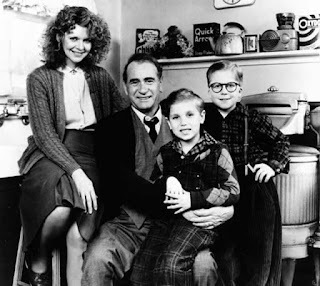 The stars of "A Christmas Story" are Melinda Dillon as Mother Parker, Darren McGavin as Old Man Parker, Scott Schwartz as Flick, Jean Shepherd as the narrator (Ralphie as an adult), and Peter Billingsley as Ralphie. "A Christmas Story" is about Christmas at a small-town home in Hammond, Indiana. A key plot point is that the family's son desperately wants a "Red Ryder BB Gun." 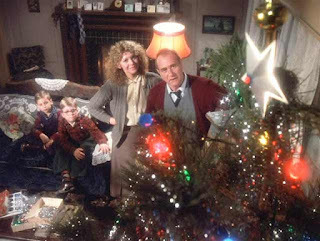 That phrase is said 28 times in "A Christmas Story." 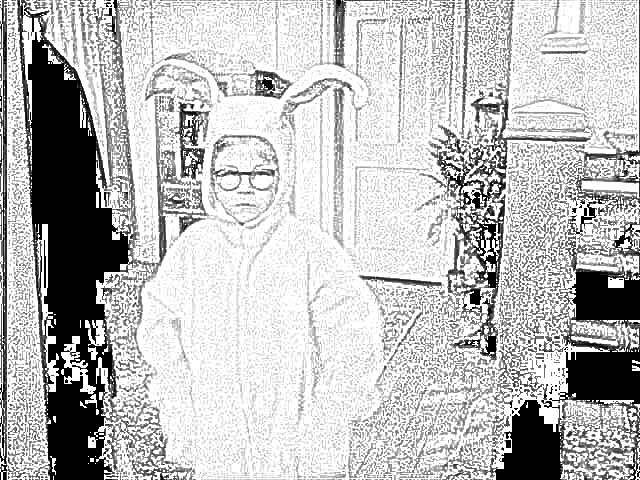 "A Christmas Story" had difficulty getting made. 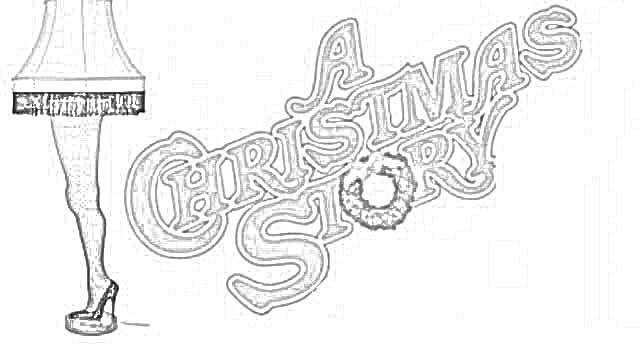 Director Bob Clark had to promise the studio that he would make a horror film instead of a comedy. Released just before Thanksgiving in 1983, "A Christmas Story" was a surprise holiday hit. 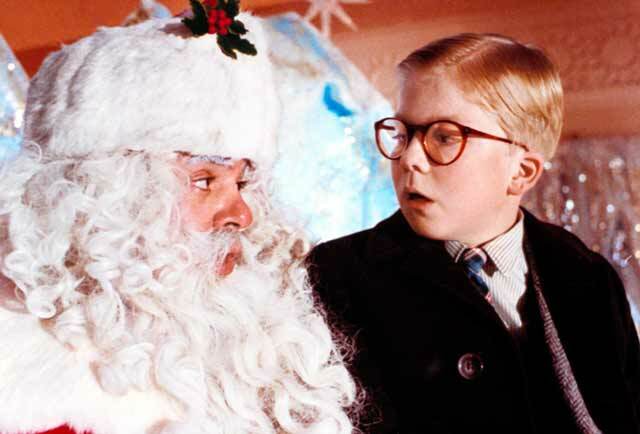 Surprisingly, though, "A Christmas Story" did not actually play in theaters on Christmas Day 1983. 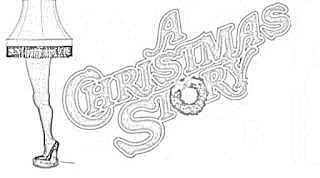 It already had been replaced in theaters with other films. However, now that it is considered a classic, "A Christmas Story" plays in many theaters for the entire month before Christmas, including Christmas Day. 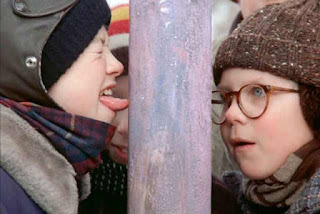 Another major plot point of "A Christmas Story" is when one of Ralphie's friends submits to a dare and gets his tongue stuck on a frozen pole. 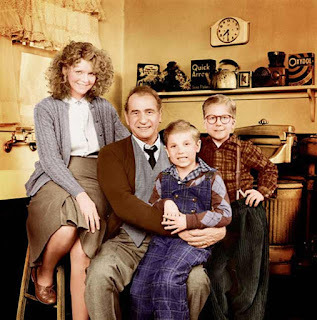 The original home used in "A Christmas Story" still exists and has been restored to look exactly the way that it does in the film. 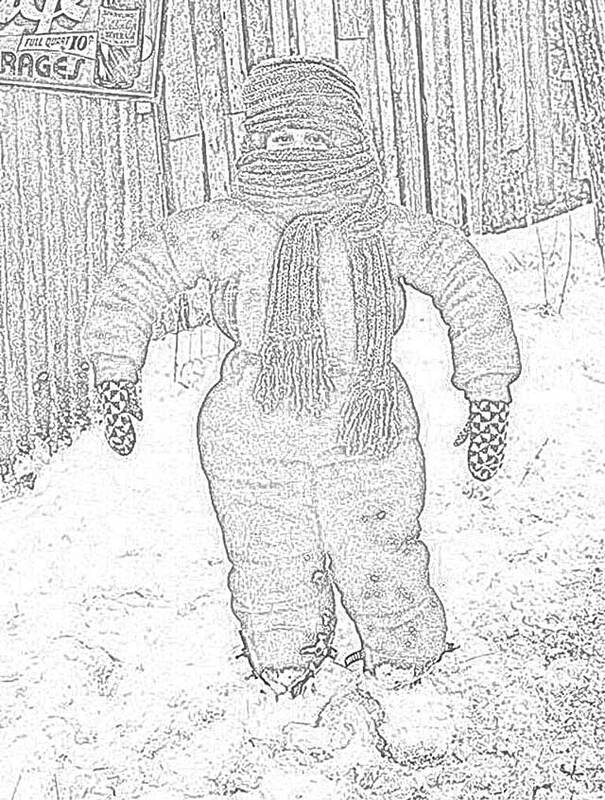 It is a tourist attraction in Cleveland, Ohio located at 3159 West 11th Street. 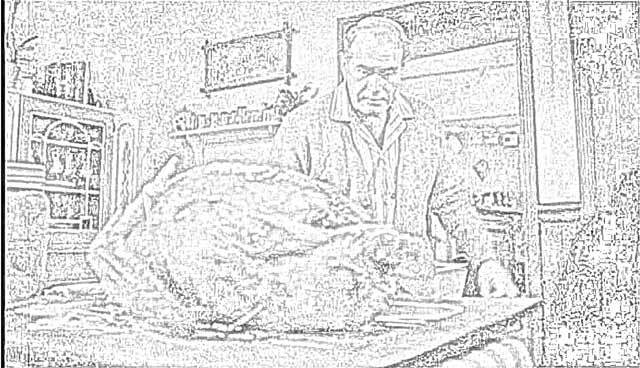 Jack Nicholson almost played The Old Man. 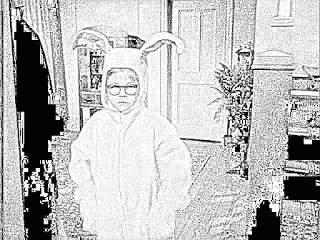 However, he was too expensive for the studio. 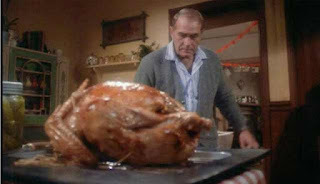 Darren McGavin played the role instead. 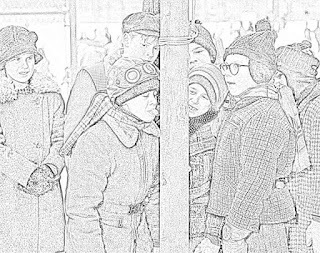 The setting of "A Christmas Story" is an Indiana town of the 1940s. 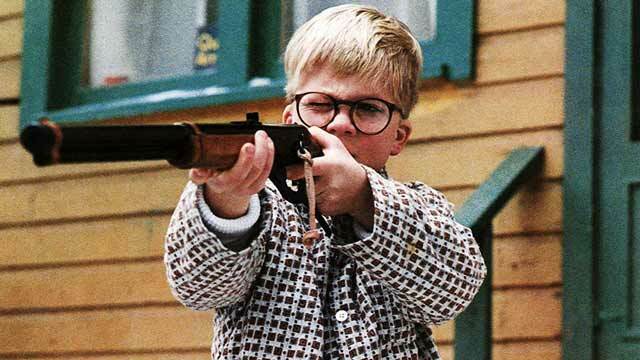 Everyone is worried that Ralphie is going to shoot his eye out with his Red Ryder BB Gun. 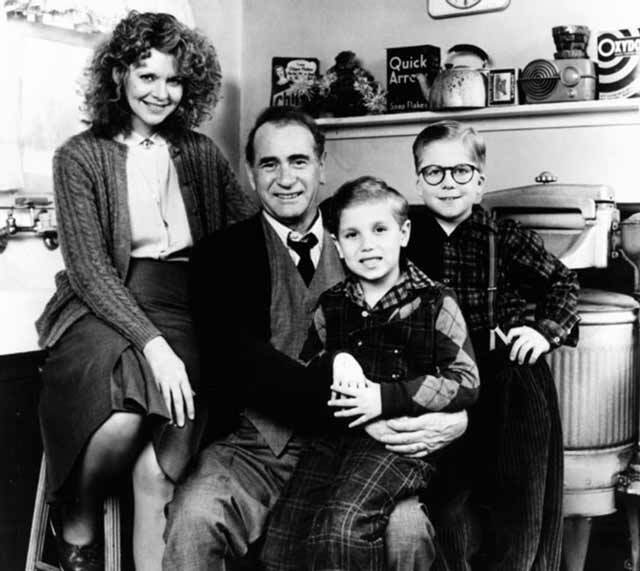 Director Bob Clark was able to get "A Christmas Story" made only because of his wild success with "Porky's" in 1981. 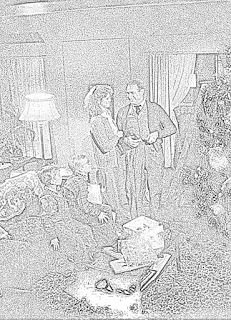 Jean Shepherd was a famous humorist who passed away in 1999. 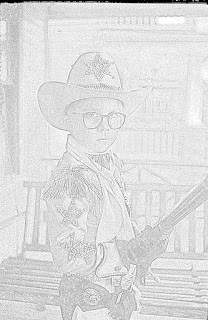 He was a storyteller, with his stories usually based in some way on his own real-life experiences. 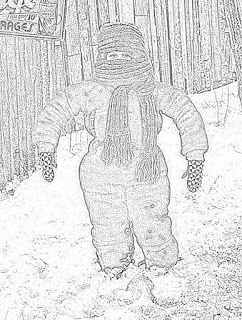 One might call Shepherd a satirist, but he was just poking fun at the oddities of modern life. 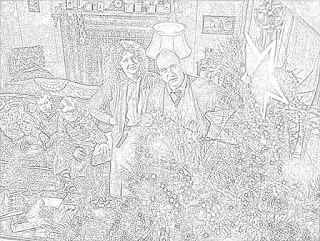 Shepherd had a distinctive voice, which he put to good use on the radio and television. 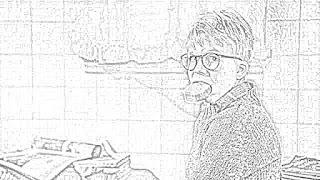 He also wrote books and did a little acting. 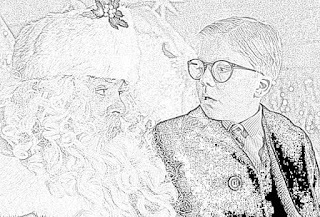 Jean Shepherd appeared in "A Christmas Story" as the irate man waiting in the Santa line. 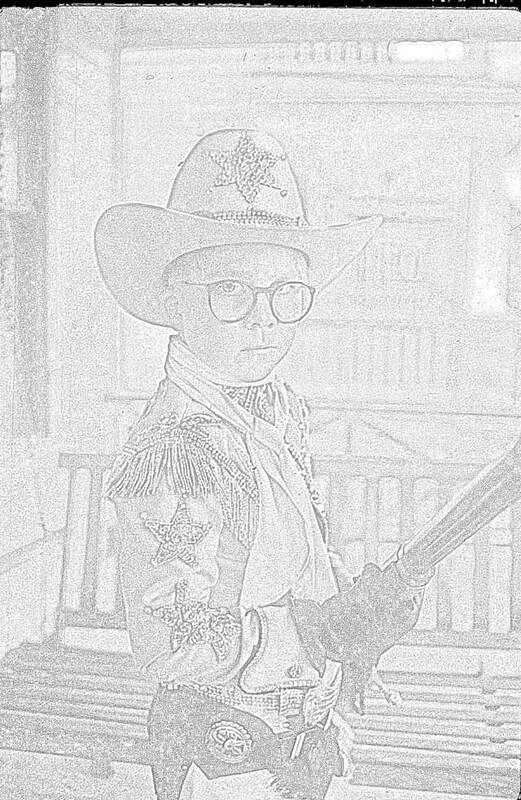 He also helped to write the script. Shepherd's wife, Leigh Brown, is standing beside him. There is a lot of debate about how much of "A Christmas Story" actually happened. 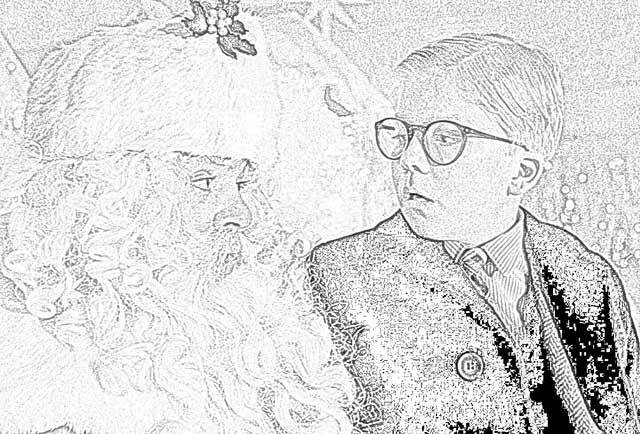 Flick and Schwarz, Ralphie's buddies, were based on actual kids named that who Jean Shepherd went to school with. 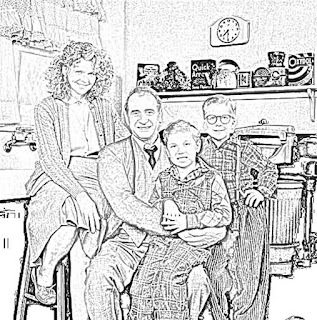 Shepherd's father was a cashier at the Borden Milk Company, and Jean always did refer to him as "The Old Man." 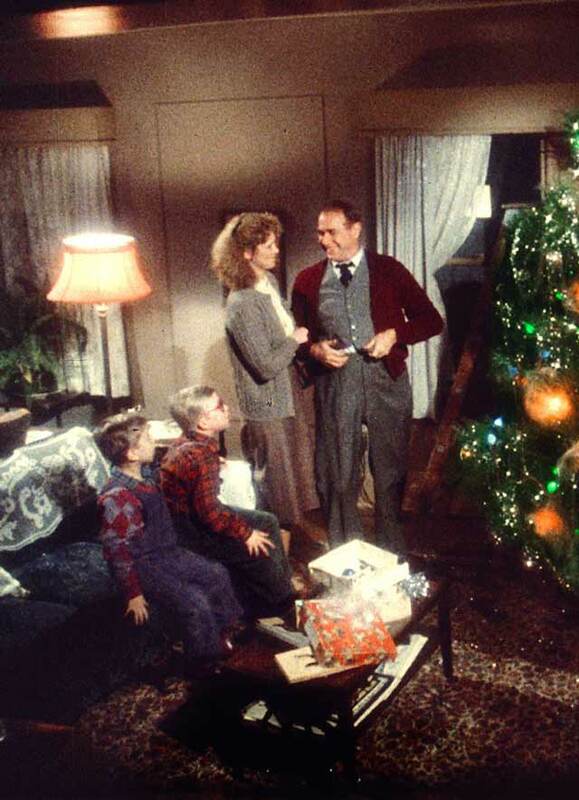 Bob Clark worked with Jean Shepherd on the concept for "A Christmas Story" for a full decade before it finally got made. The year in which "A Christmas Story" is set also has been the subject of debate. 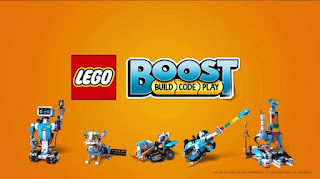 Most evidence points to either 1939 or 1940, with the former being the most likely. 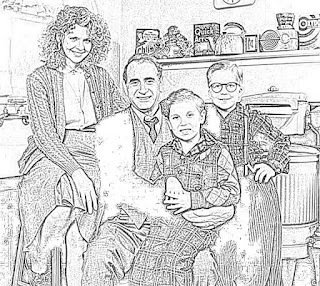 Television series "The Wonder Years" was based on "A Christmas Story." 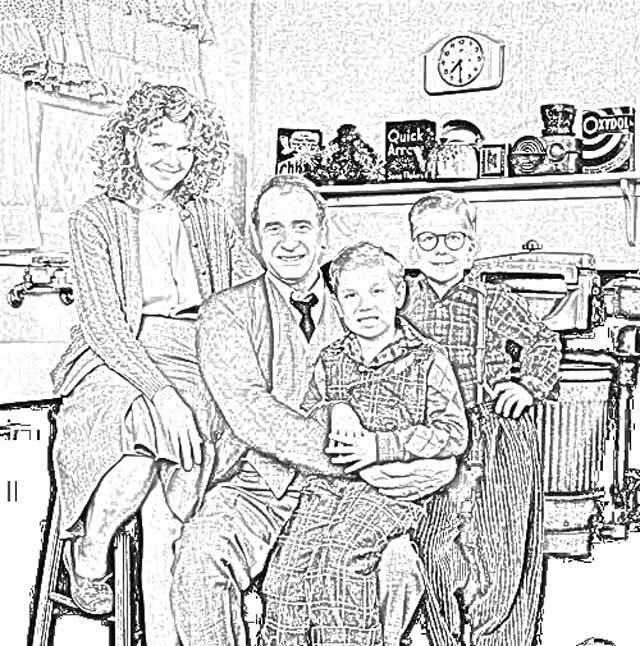 In the outside scenes, there are many antique vehicles appropriate to the late 1930s or early 1940s. 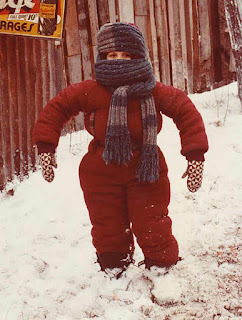 These were donated by the people of Cleveland to help with the production. 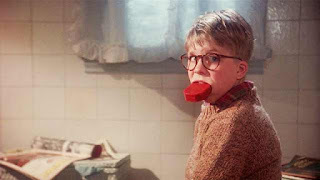 The word most used to describe "A Christmas Story" is "heartwarming." 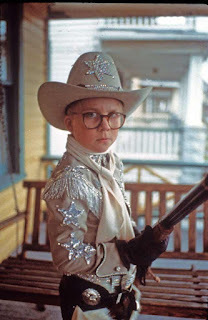 "Red Ryder" was a radio/comic book cowboy of the 1930s. 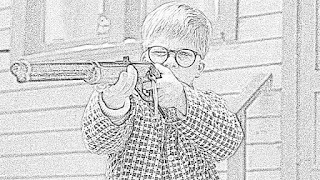 So, a "Red Ryder BB Gun" was a gun that Red Ryder would have endorsed and/or used. 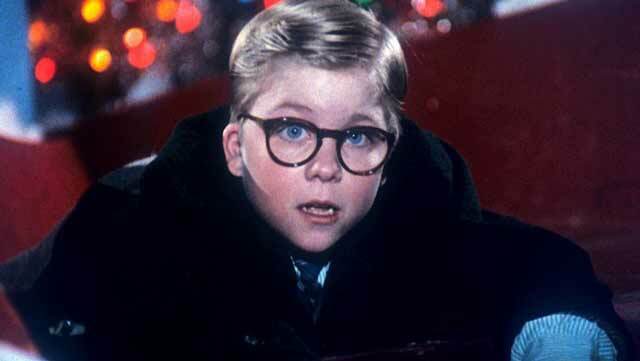 You can see Ralphie's glasses and other props from "A Christmas Story" at St. Catharine's Museum. 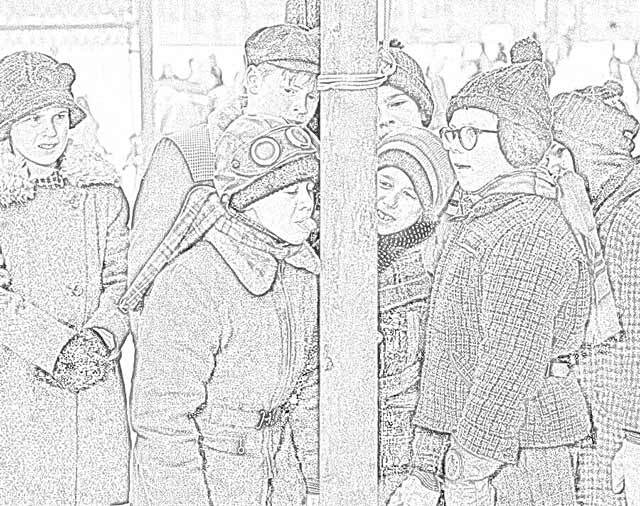 Many outdoor scenes in "A Christmas Story" actually were filmed in Toronto, Ontario. 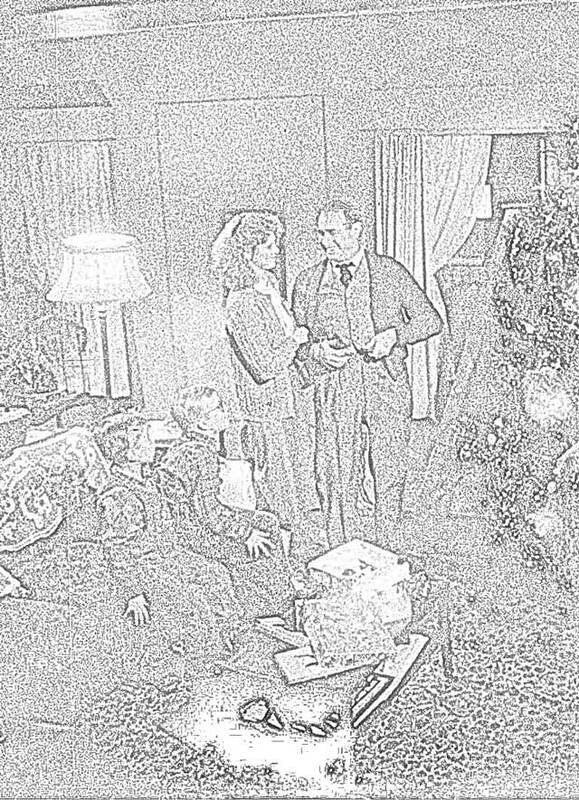 The Old Man's actual name, as provided in the script, is Frank Parker. 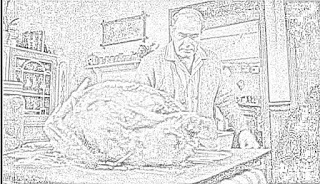 The Chinese restaurant where the Parker family goes is named Bo Ling. The sign for the restaurant is actually the word "Bowling" with the "w" missing. 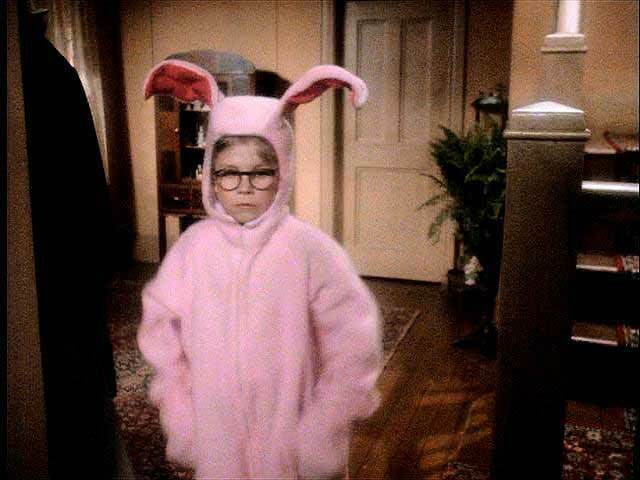 An Imax version of "A Christmas Story" was released on December 17, 2016. 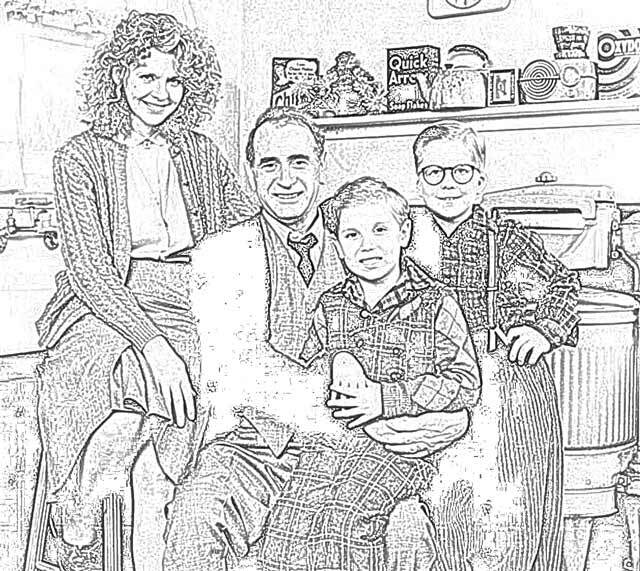 As a nod to where "A Christmas Story" was actually filmed, the street the Parkers live on is called "Cleveland Street." 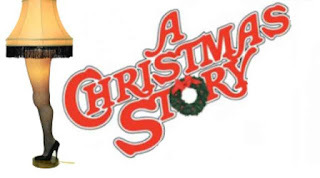 "A Christmas Story" was added to the National Film Registry by the United States Library of Congress in 2012. 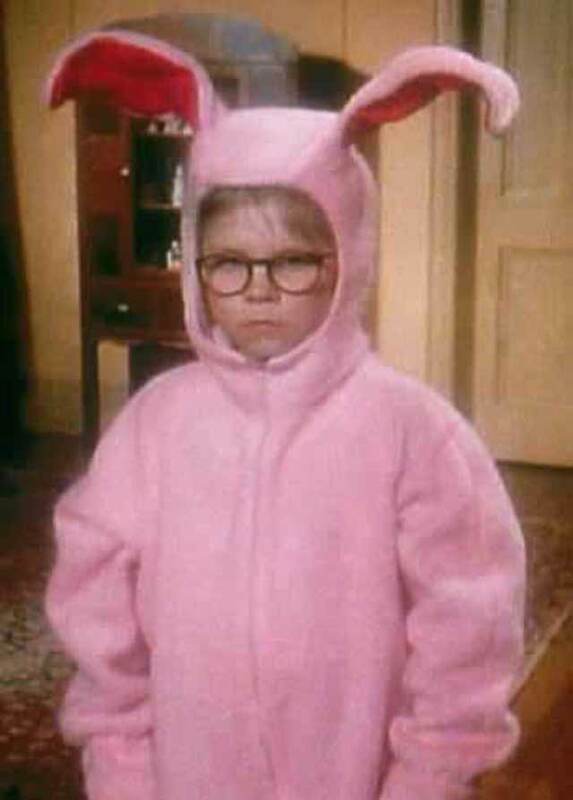 The background music in "A Christmas Story" is the Grand Canyon Suite's "On the Trail" song. Director Bob Clark appears in a cameo in "A Christmas Story" as Frank's next-door neighbor, Swede, who comments on the Leg Lamp. 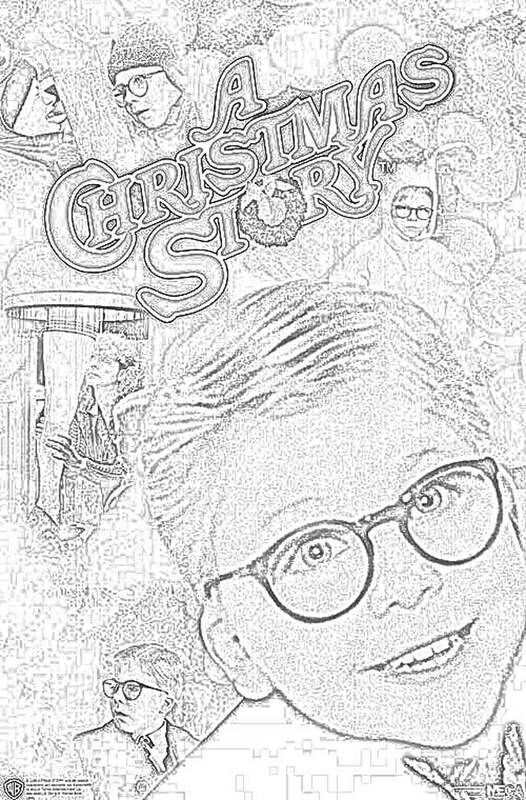 Zack Ward got his first role in "A Christmas Story." 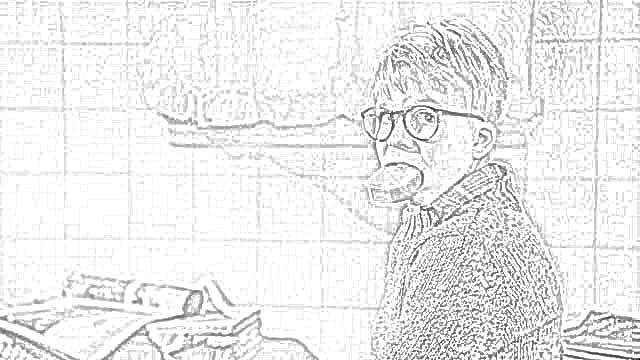 He played Scut Farcus. It led to a long career that continues to this day. If it is after Thanksgiving and before Christmas, check your local listings; odds are that "A Christmas Story" is playing somewhere nearby.